Endress+Hauser has opened a calibration and training center in Jubail, Saudi Arabia. 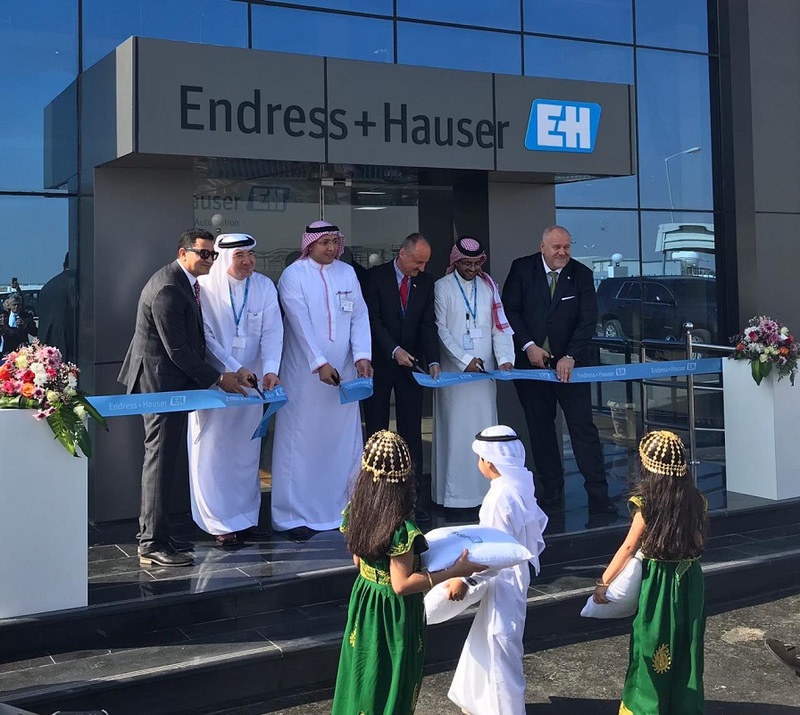 Endress+Hauser has invested roughly three million euros in a modern, state-of-the-art calibration and training center in the industrial city of Jubail, Saudi Arabia, strengthening direct contact with customers in the Middle East, while supporting the country’s economic development. Saudi Arabia wants to expand the private business sector and become less reliant on oil production, two key goals of the Vision 2030 program. “It was this vision that inspired us to create the new calibration and training center,” said Mohammed Abdellah, managing director of Endress+Hauser Saudi Arabia, during the inauguration ceremony. “With this new center, we are supporting the country to achieve these reforms and can also increase the local added value by offering local solutions,” he adds. The training center features a classroom with interactive technology, an extensively equipped workshop, and a field bus training lab. It offers practical, hands-on training programs designed to impart knowledge on measurement technologies and process control systems that are in demand by the hydrocarbon, power, and water & wastewater industries. Young Saudi engineers and university graduates will be able to use the facility to acquire technical know-how in accordance with the latest international standards. Local technical resources can enhance their knowledge and stay competitive with the customized trainings offered in the center. The 2700-sq-m facility houses a modern calibration center, a vendor-managed gravimetric calibration facility, from which Endress+Hauser will offer manufacturer-independent calibration services for measurement instruments. Endress+Hauser also offers on-site calibration, leading to cost savings and a reduction in production downtime. “For us, it’s important to be able to address our customers’ needs in a flexible manner and to ensure that they are optimally managed,” said Matthias Altendorf, CEO of the Endress+Hauser Group. The new calibration and training center is part of the Group’s strategy. Globally active, Endress+Hauser is continuously expanding its international footprint. For almost two decades Endress+Hauser was represented in the Kingdom of Saudi Arabia by a local representative, Anasia Industrial Agencies. To optimize customer support in the region, Endress+Hauser entered into a joint venture with Anasia in 2012, enabling the Group to be directly present and close to the customers in the region. Endress+Hauser Saudi Arabia currently has 50 employees. The goal of the new investment is to strengthen the Group’s presence in the important Saudi Arabian market, as well as across the entire Middle East.